This image taken by the navigation camera on the Mars Exploration Rover Spirit shows the view ahead of the rover on the 44th martian day, or sol, if its mission. 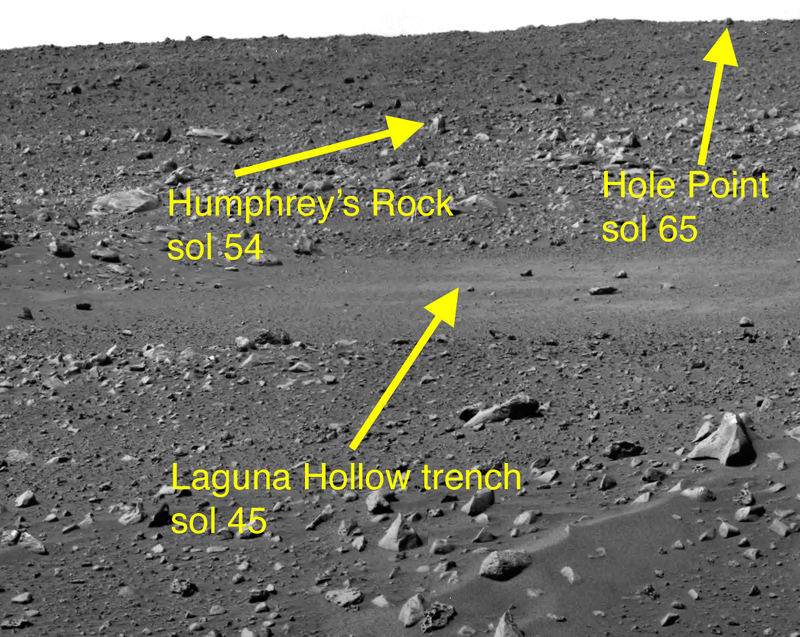 Directly in front of the rover is the shallow depression dubbed "Laguna Hollow," where it dug a trench with one of its wheels. Further in the distance and to the right is the rock nicknamed "Humphrey," and even further up and to the right is another rock called "Hole Point." These three features line the path the rover is taking to the large crater dubbed "Bonneville." 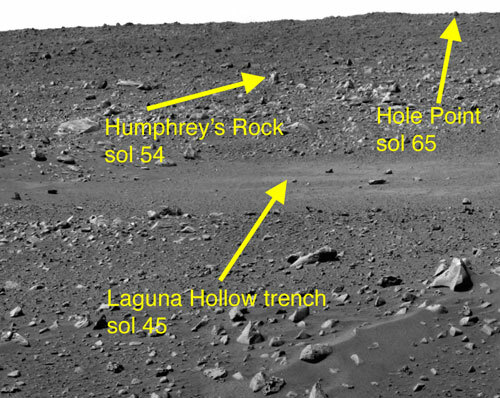 Listed on the picture are the sols on which the rover reached each of these milestones. are we looking to a desert sand blown?